With wisdom, love, and detailed guidance, Ram Dass shares his favorite spiritual practices. Sometimes illumination occurs spontaneously or, as Ram Dass experienced, in a heart-wrenching moment of opening. More commonly, it happens when we polish the mirror of the heart with daily practice—and see beyond the illusion of our transient thoughts and emotions to the vast and luminous landscape of our true nature. For five decades, Ram Dass has explored the depths of consciousness and love and brought them to life as service to others. With Polishing the Mirror, he gathers together his essential teachings for living in the eternal present, here and now. For those new to Ram Dass' teachings, and for those to whom they are old friends, here is this vanguard spiritual explorer's complete guide to discovering who we are and why we are here, and how to become beacons of unconditional love. Anyone who likes Ram Dass, or, who, like me loves Ram Dass, will appreciate this book. "Polishing the Mirror" give wisdom and wit at all levels. At times he lifts you/me high and other times he makes me laugh at the antics of the little Jewish boy under the robe of the Hindu guru and the white jacket of the psychotherapist. I love Ram Dass and his lessons. Many years ago I decided I could purchase any book, tape or CD Ram Dass puts out. It looks like Sounds True was instrumental in helping this latest book see the light of day. I thank you for that. While there are many authors writing books on personal development and self-actualization, I believe that it is very difficult to find somebody as compassionate and lucid as Ram Dass. In his latest book, “Polishing the Mirror” Ram blends information from various ancient scriptures (primarily the ones originating in India) with his own personal wisdom and knowledge that he acquired during his 50 years of soul searching. 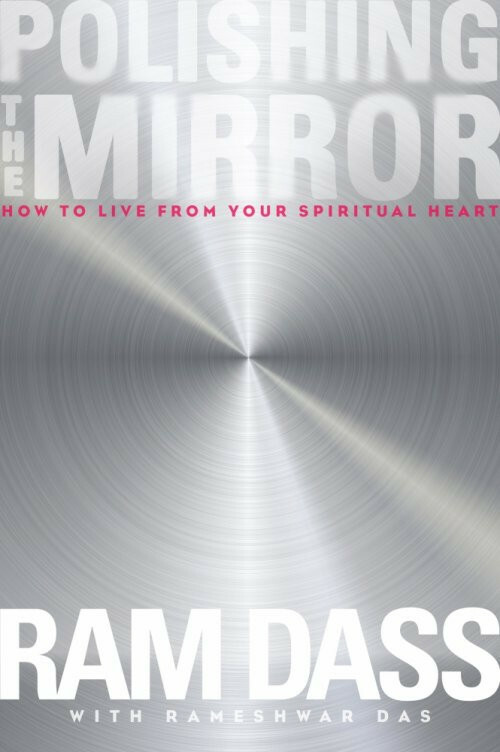 Having read several of his books, it seems to me that “Polishing the Mirror” is actually a culmination of Ram’s previous work blended with his more current experiences and introspective insights. Ram Dass discusses suffering, aging, conscious living and dying, and various ways in which we can move towards a more fulfilling and awakened life. Often funny, always compassionate, Ram Dass presents the information as a kindred spirit and in a manner that is easy to read.